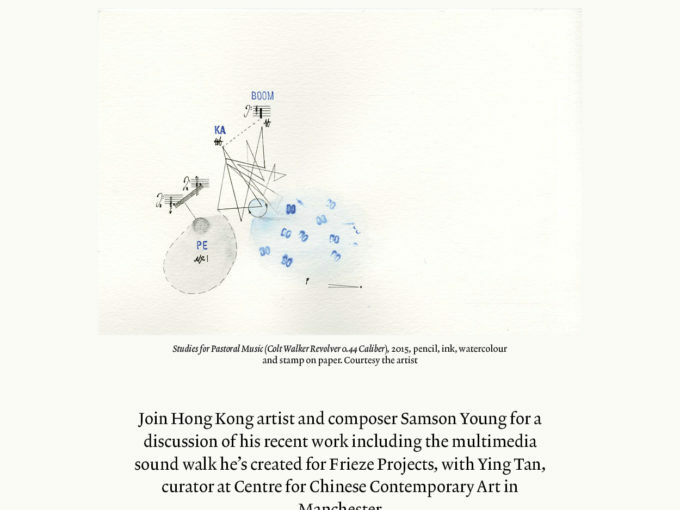 With a formal cross-cultural training in music composition, Samson Young channels his attunement to melody by pushing its formalist boundaries to create innovative cross-media experiences by building peculiar scenarios that challenge one’s everyday associations with objects, stories and spaces. Edouard Malingue Gallery is delighted to share Samson Young’s latest solo exhibition, “Furniture Music”, at Galerie Gisela Capitain. The exhibition Furniture Music is an homage to Eric Satie’s concept of musique d’ameublement. In five groups of work specifically developed for the exhibition, Young engages with Satie’s experiment which gave rise to two of the central musical concepts of the 20th century: sound installation and ambient music. The Installation Coffee table music (some other causes for celebration) deals primarily with the possibility of visually representing Furniture Music. On view are five groups, each consisting of small coffee tables, carpets, and coffee table books arranged on the tables.